Sir Walter Raleigh and Mr. Ruthven being prisoners in the Tower, and addicting themselves to chemistry, she (Lucy St.John Apsley) suffered them to make their rare experiments at her cost, partly to comfort and divert the poor prisoners, and partly to gain the knowledge of their experiments, and the medicines to help such poor people as were not able to seek physicians. By these means she acquired a great deal of skill, which was very profitable to many all her life. She was not only to these, but to all the other prisoners that came into the Tower, as a mother. All the time she dwelt in the Tower, if any were sick she made them broths and restoratives with her own hands, visited and took care of them, and provided them all necessaries; if any were afflicted she comforted them, so that they felt not the inconvenience of a prison who were in that place. 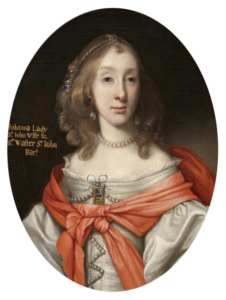 Leaping from the pages of Lucy Hutchinson’s memoirs, this insight to a seventeenth-century woman’s life within the Tower of London immediately set me on a hunt for more information about Lucy St.John and the world she inhabited. Writing about her mother, Lucy Hutchinson chose to focus on the attributes of medicinal skills and recipes she used to tend to the prisoners within the Tower. This paragraph inspired the writing of my debut best-selling novel, The Lady of the Tower, and sent me on a glorious journey into the methods and curatives that were an everyday part of Lucy’s life. 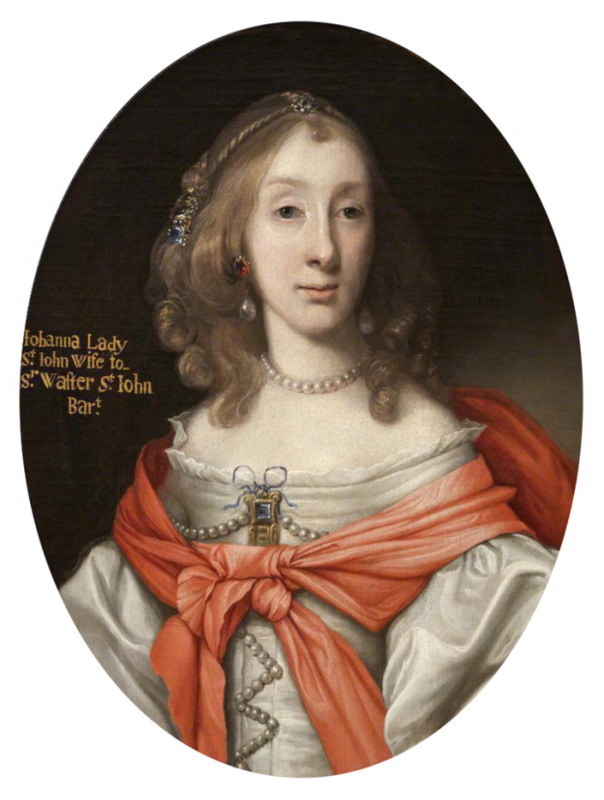 Portrait of Lady Johanna St.John by kind permission of Lydiard House & Park. These seventeenth-century remedies were precious commodities exchanged by family and friends alike. And since Lucy St.John would have known her nephew’s wife, Lady Johanna St.John, it was no stretch of the “probable” for me to think that Lucy would be familiar with the recipes within Johanna’s collection, or may even have contributed some of her own. Already acquainted with Lady Johanna and the Lydiard estate through my own family records, I delved into her recipe book, which is archived at The Wellcome Library in London. (Ed. note: this recipe book has been of much interest to many of us here at The Recipes Project, too! See these posts.) The beautifully preserved leather-bound book contains recipes designed to help a knowledgeable and educated woman manage the health of her family, servants and livestock. Relying on a great deal of herbal wisdom, as well as the more exotic ingredients found in the London apothecaries, Lady Johanna’s book is a testament to the importance placed on remedies, in an age where so little was still known about the body and its infirmities. When I decided to use extracts from the book to illustrate Lucy’s learnings in The Lady of the Tower, I was fascinated to discover that many of the herbal properties and therapies Lady Johanna recommend are still used in pharmaceutical production today. Extract and Photograph is of Lady Johanna Saint John’s Recipe Book, archived at The Wellcome Library, London, MS 4338. 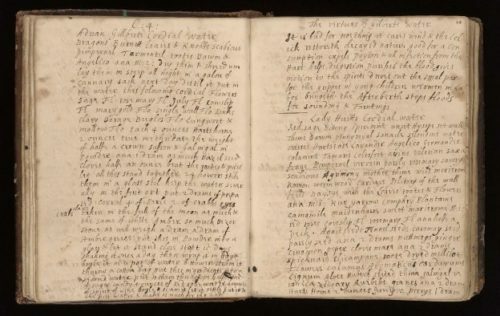 Lady Johanna devotes two pages of her precious recipe book to Adrian Gilbert’s Cordial Water, which was perhaps indicative of the importance she placed on its curative powers. The recipe itself was complex, requiring Dragons Burnett leaves (probably the simple dragon’s mace, a common weed), and then moving on to a page full of rarer ingredients, such as “Crab’s eyes taken in the full of the moon.” Promoting the contemporary belief man shared the virtue of the plants digested, Mr Gilbert was taking no chances with his curative, empowering the recipient with dragon strength to fight his condition. But there is more to the story. Adrian Gilbert was a well-known alchemist and amateur scientist, and half-brother to Sir Walter Raleigh, himself a distinguished botanist. Adrian’s brother, Humphrey Gilbert, was under the patronage of Robert Cecil and Robert Dudley who maintained an alchemical laboratory in Limehouse. Now it gets interesting. When Sir Walter Raleigh was under the care of Lucy St.John during his imprisonment in the Tower of London, Lucy funded his scientific experiments, lending him her hen house in which to perform his alchemy. I don’t believe it is that much of a stretch to think that Sir Walter and his half-brother Adrian Gilbert traded medicinal recipes, nor that Lucy St.John would keep a record of any precious curatives that came into her possession. 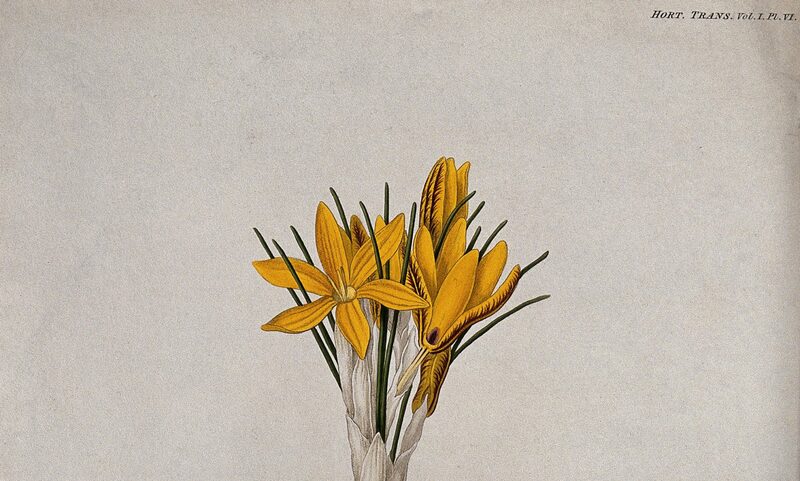 For her to then pass these on to her niece, who shared her passion for botany, gardens and curatives, would be a natural occurrence. Writing credible historical fiction is always about linking the probables, and in connecting Lucy St.John with Lady Johanna and using their common interest in medicinal curatives, I brought truth to my narrative. What is undisputed is these interesting women’s common desire to protect their families and charges from the dangers of seventeenth-century life, and a shared concern for health, hope for treatment, and the rewards of recovery. The Lydiard Chronicles. Available on Amazon and Kindle Unlimited. Elizabeth St.John was brought up in England and lives in California. To inform her writing, she has tracked down family papers and residences from Nottingham Castle, Lydiard Park, and Castle Fonmon to the Tower of London. Although the family sold a few castles and country homes along the way (it’s hard to keep a good castle going these days), Elizabeth’s family still occupy them – in the form of portraits, memoirs, and gardens that carry their imprint. And the occasional ghost.